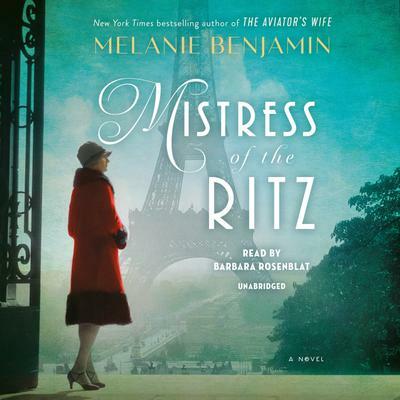 A captivating novel based on the story of the extraordinary real-life American woman who secretly worked for the French Resistance during World War II—while playing hostess to the invading Germans at the iconic Hôtel Ritz in Paris—from the New York Times bestselling author of The Aviator's Wife and The Swans of Fifth Avenue. Nothing bad can happen at the Ritz; inside its gilded walls every woman looks beautiful, every man appears witty. Favored guests like Ernest Hemingway, F. Scott Fitzgerald, Coco Chanel, and the Duke and Duchess of Windsor walk through its famous doors to be welcomed and pampered by Blanche Auzello and her husband, Claude, the hotel’s director. The Auzellos are the mistress and master of the Ritz, allowing the glamour and glitz to take their minds off their troubled marriage, and off the secrets that they keep from their guests—and each other. Until June 1940, when the German army sweeps into Paris, setting up headquarters at the Ritz. Suddenly, with the likes of Hermann Goëring moving into suites once occupied by royalty, Blanche and Claude must navigate a terrifying new reality. One that entails even more secrets and lies. One that may destroy the tempestuous marriage between this beautiful, reckless American and her very proper Frenchman. For in order to survive—and strike a blow against their Nazi “guests”—Blanche and Claude must spin a web of deceit that ensnares everything and everyone they cherish. But one secret is shared between Blanche and Claude alone—the secret that, in the end, threatens to imperil both of their lives, and to bring down the legendary Ritz itself.